Recently I saw an exhibit of a fully equipped Roman Legionnaire from the early Roman Empire. All that stuff – armor, sword, shield, spear – sure looked heavy. Interesting enough in itself; but later that day, I happened to see a picture of a fully outfitted American soldier in battle gear. So I did some Googling and came up with an interesting little factoid. 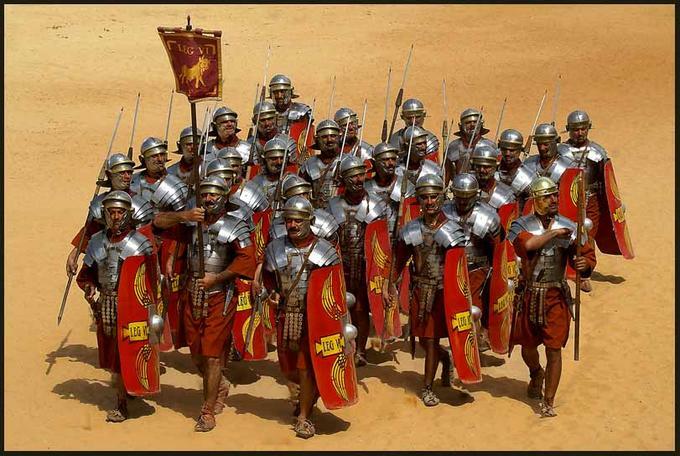 The average weight a Roman Legionnaire carried two thousand years ago was about 80 pounds. A modern day American soldier carries — you guessed it — about 80 pounds. A pessimist might say, gee, all the advances we’ve made; but the poor foot soldier is still carrying the same load. What a surprise. But what matters is that the 80 pounds should be the best equipment for the mission. And what is the best available equipment for the mission has changed plenty in two millennia. Which brings me to an observation concerning the current move toward Enterprise Content Management (ECM)-enabled judicial workbenches. Judges need tools and supplies in the form of information to accomplish their mission. They need access to information about the matters before them and to related matters; they need access to the applicable legal authorities and so on. What is true with judges, just as with foot soldiers, is that there is a limit to how much they can carry and still operate. The advent of judicial workbenches powered by ECM with configurable workflow is fundamentally changing how much and what kind of work judges can accomplish during their limited available time. Because what has NOT expanded is the amount of time available to a judge. Judges have always needed access to information. In paper-based systems, either the judge or someone on behalf of the judge had to locate the information in paper documents and files. Their instructions and decisions had to be committed to paper documents, which had to be routed and physically transported. To be signed, documents had to be physically available to the judge. When legal authorities were cited, the judge had to access the appropriate volumes of statutes, case law or other authority, so physical proximity to these (often voluminous) sources was a real advantage, but it came with great overhead. Likewise, access to related files and documents, often necessary, required physically tracking down, pulling and delivering the appropriate paper files. Just as with the foot soldier, none of this should be expected to make a judge’s life easier in the sense of working less hard. Eighty pounds is eighty pounds. However, with tools such as these at their disposal, judges can accomplish far more than in the olden days, with the same amount of effort; generally, everything they’ve got.